This sausage is strangely suspicious. And behold, the blood sausage. Also known as Black Pudding or Blood Pudding by the Brits. It’s referred to as Blutwurst by the Germans. 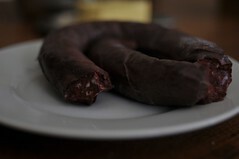 And in France, a lovely Boudin Noir which sounds less like a sausage and more like a hot night in the red-light district of Paris. 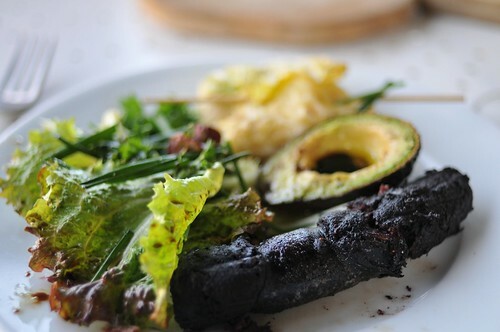 Just about every country has their take on blood sausage. 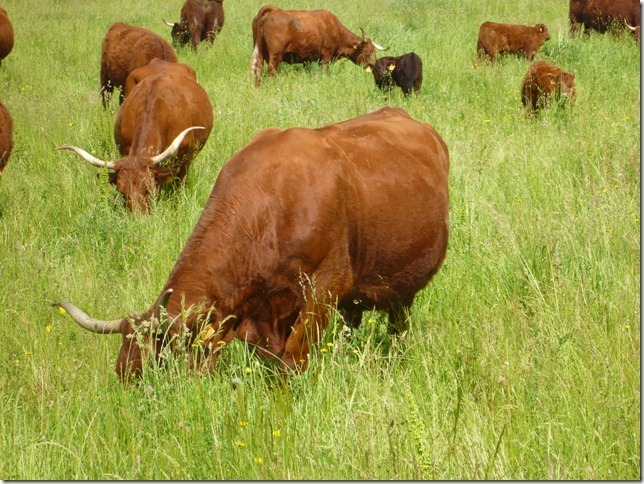 Except, of course, America where we Americans find sausage made with blood a thing of the past. Something Grandma used to eat. But let me tell you right here right now, this sausage is GOOD! When done on the grill, I’d say it’s even better. Seriously, it’s only a matter of time before these babies pop up in the wanky yup-restaurants around town (with hip names of children they never had) and make their way down to a quick morning Blood McMuffin grab. For now, finding one of these sausages will be tricky if you’re in America. I know Seattle has a wonderful German shop in Pike Street Market and that’s all I got. This particular sausage was homemade with pig blood and bits (by a man Scott with pretty hands). It’s often served with apples of some description, but we had it with warmed avocado and a salad which worked well. A blood sausage, good luck finding one for the Americans in the house! Stick it on the grill and take it off when you’re ready. I’d say after a couple of glasses of champagne ought to do it. Often times blood sausage is served cold with other cold meat friends so really you need to warm it to your liking as it’s already cooked. 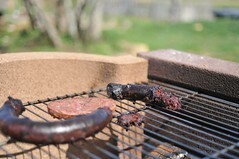 This entry was posted in Fleshy Bits and tagged bbq, cooking, food, grilling, photography, sausage. Bookmark the permalink.